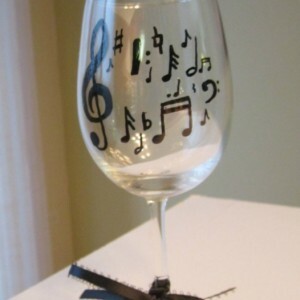 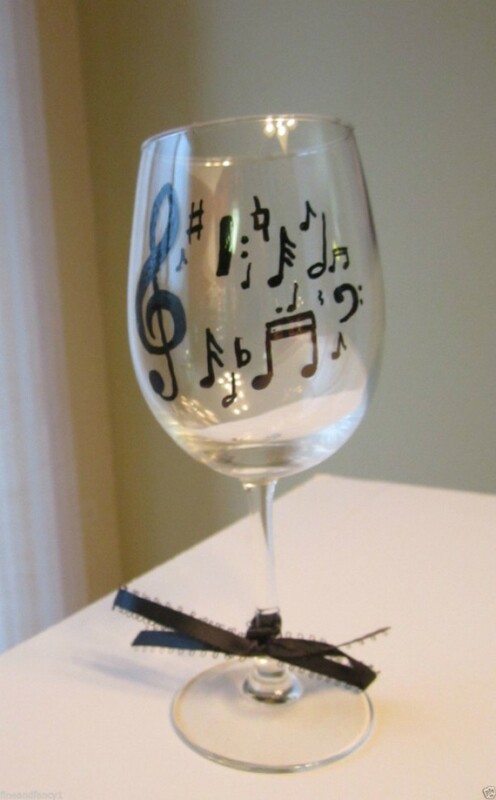 Hand Painted Wine Glass Musical Notes 12 oz. 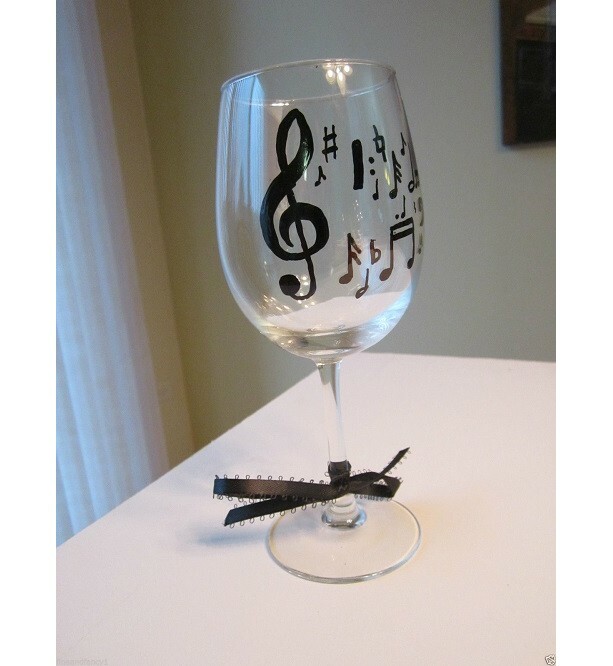 MUSICAL NOTES AND SYMBOLS 12 oz. Stemware Wine Glass Great Gift for Music Teachers These are hand painted and no 2 will be exactly alike The harsh chemicals and high temperatures of a dishwasher can damage the paint. Recommend gentle hand washing.